The transitional M-11B rugs from the luxurious Amaluk Collection feature a fresh and inspired take on classic floral motifs. Hand knotted in India from iridescent Sari silk, these rugs showcase a lustrous, soft pile finish and average thickness. 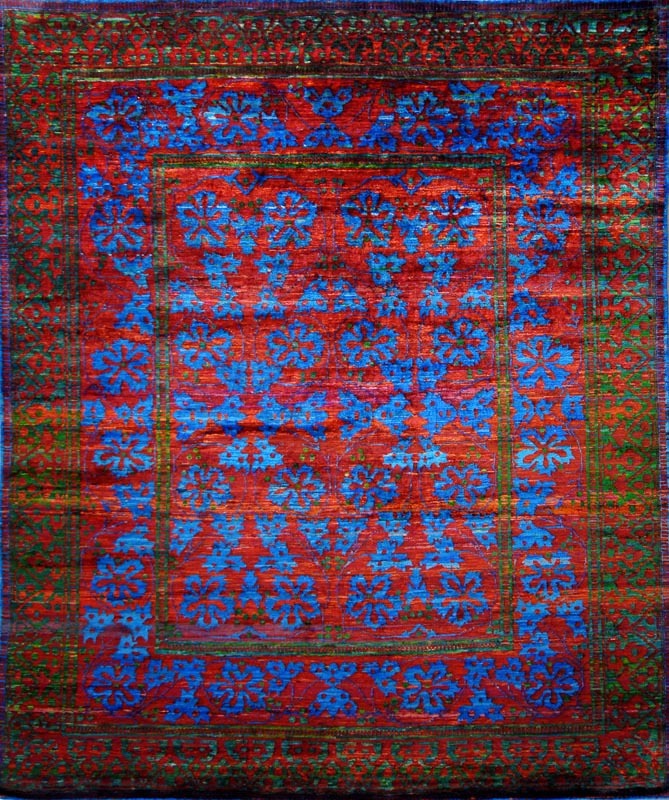 The unique color palette with contrasts of red and blue shades adds modern grandeur to the traditional pattern, making this beautiful rug a stunning, sophisticated piece for any contemporary interior.